A top-down, "ivory tower" approach to diversity, equality and inclusion should be abandoned in favour of a more collaborative approach to reforming the sector, the National Council for Voluntary Organisations' annual conference heard yesterday. David Bryan, a diversity and inclusion consultant, told a breakout session on diversity at the conference that charities should try to avoid falling "into the trap of a quick fix" and just making changes because a funder wanted the charity to do so. Instead, charities should give diversity and inclusion proper long-term thought and investment. This meant focusing on why diversity was important and necessary, rather than starting at the point of what the organisation was doing wrong on the issue, he said. Bryan said: "The knee-jerk can consume a lot of time and energy, doing the wrong thing in the wrong place without regard for the result." He also warned charities about using people from black, Asian and minority ethnic backgrounds simply to "colour the landscape" and said they should be involved properly at all levels of the organisation. 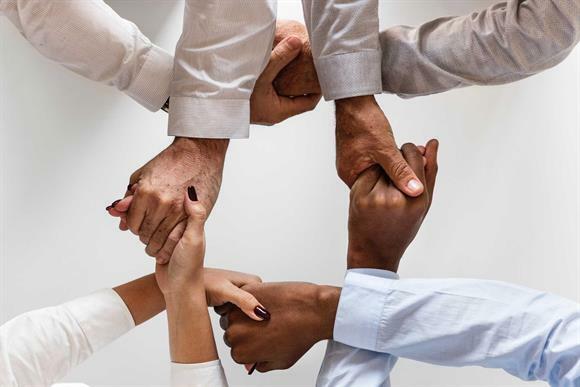 A top-down approach to increasing diversity should also be avoided in preference for a more collaborative approach to diversity, equality and inclusion that included people from across the charity, he said. He added: "If we are not having those difficult conversations, how do we get to the difficult issues that really matter? How do we get to the people who we are trying to help and support and have intelligent, meaningful conversations? "That’s where we are letting ourselves down: we are allowing policy individuals to sit in their ivory towers and conjure up a picture of the other from afar, and not really have that engagement throughout the organisation." Bryan said that charities "can’t shirk the responsibility for ensuring that we are engaging everyone" and said "we have a responsibility to take an approach that incorporates equality, diversity and inclusion, however you find those". Bryan added that people could not let the fear of getting things wrong or uncomfortable dialogue prevent the issues of diversity being explored properly. Siobhan Corria, head of inclusion at Action for Children, said leaders should use "emotional intelligence" to know that the people who stand up and talk about their difference and their experience should not be "defined by that for the rest of their working lives". Instead, leaders should work with those people and ensure they have the right culture in place, she said.